Aggregate Projects is a contemporary artist-run project space in Brisbane. 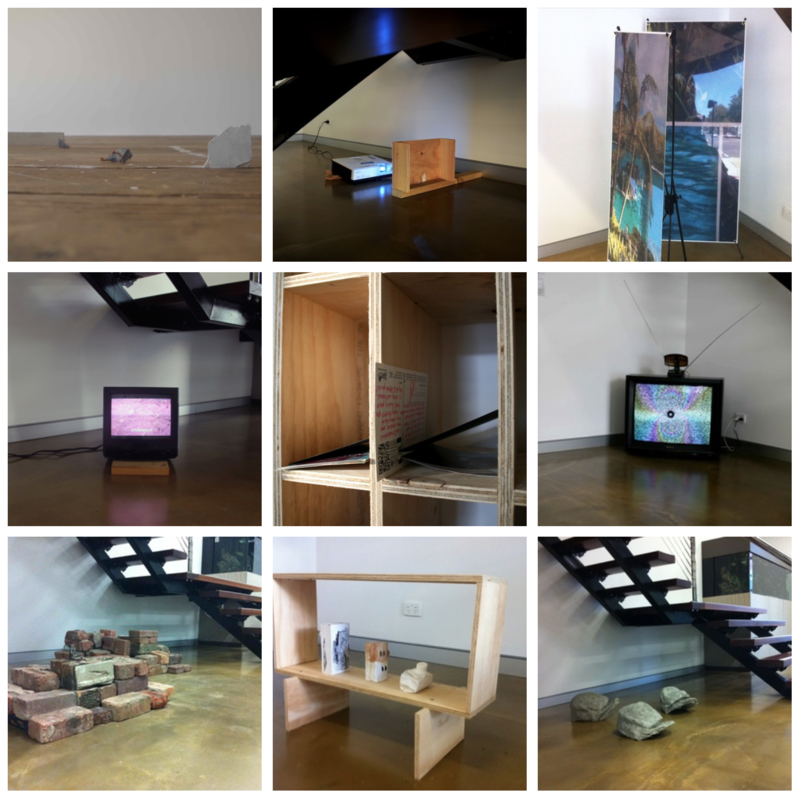 It facilitates small-scale exhibitions of new and experimental work by local artists that directly engages with the vacant space under the stairs of a commercial office building. Each project should challenge and benefit both the artist and viewer by broadening the context of the work and its reception. Aggregate is currently located under the stairs in the foyer of Priority Building’s office space. The space measures approximately 2x3x2m [HxWxD] and the floor is slurried polished concrete. It has access to a double powerpoint and can facilitate floor-based, digital or hung artworks, however, the walls must remain in tact.